The Hilton Barbados enjoys a prime location on the lush tropical peninsula of Needham’s Point surrounded by two powdery soft white sand beaches and pristine blue waters. The hotel boasts 350 ocean-view guestrooms, including 77 Executive Floor rooms and 33 suites. All guestrooms offer private balcony, separate shower unit, high-speed Internet access, two-line speakerphones with data port, and cable TV. Guests staying on the Executive Floor enjoy access to the Executive Lounge overlooking Carlisle Bay and offering complimentary breakfast, refreshments and hors d’ oeuvres throughout the day, and exclusive check-in and check-out. With over 10,000 sq. ft. of meeting space, Hilton Barbados features a 4,000 sq. ft. Hilton Meetings® complex, complete with business center, boardroom, three meeting rooms divisible into six breakout rooms, and exhibition center. Plus, the hotel boasts a 6,200 sq. ft. Grand Ballroom with a 570-person capacity – the largest hotel meeting space in Barbados . The hotel features a sprawling pool complex with whirlpool, a fitness center with treatment rooms overlooking the Carlisle Bay and three premium tennis courts. There is also a Kidz Paradise Club for children’ entertainment. The surrounding areas offer a multitude of activities within easy reach such as adventurous water sports, world-class golf, horseback riding, fishing, sailing, scuba diving, sightseeing, a pulsating nightlife and more. In addition, the resorts superior food and beverage outlets are impressive. 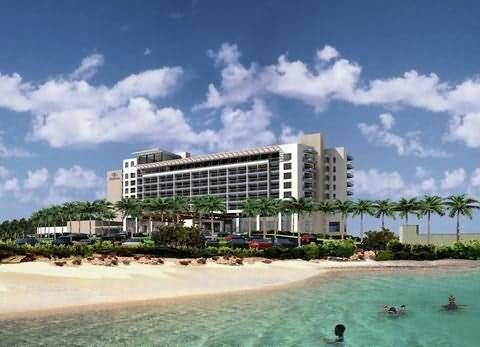 With casual dining, gourmet menus, a lobby lounge and beach bar. Click now to search rates and book your vacation. 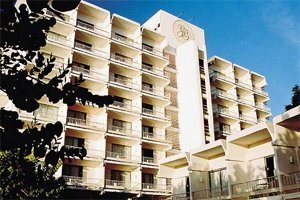 The closest hotel to historic Bridgetown, the Grand Barbados is a luxury-class resort that blends a rich heritage and culture with Caribbean style and hospitality. Paradise awaits you at the Grand Barbados, nestled on the glistening white sands of Carlisle Bay, on the island's Southwest Coast. Dining choices include the elegant schooner restaurant with panoramic views on a private 2600 ft pier, or the relaxing atmosphere of the Pier 1 restaurant only a sandal step from the beach. State of the art business centre featuring two workstations with Internet access. Exciting night life is only moments away. Accommodation at the Grand Barbados Beach Resort offers an elegant blend of tropical vibrancy and resort luxury. Each room features a breathtaking ocean or garden view from its private balcony, perfect for sparkling sunsets and cocktails under the stars. There are 5 deluxe unique over-water suites, situated on a private 260 ft Victorian Pier. 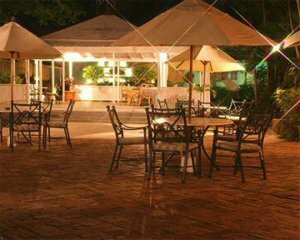 Originally constructed in 1804 as a Rum Storage facility for the British Regiment, Island Inn is now a quaint all-inclusive property. The facilities include twenty-three air-conditioned guest rooms, a small swimming pool, restaurant, bar, guest lounge, gazebo, a central courtyard and meeting facilities. Stay in the original historic building or the new block. The Boardwalk Restaurant offers an eclectic blend of local and international cuisine. Open air English style cobblestone courtyard is ideal for productive meetings and conferences.